Dallas Area Rapid Transit and Glenn Heights officials introduced a new “wrapped bus” designed to highlight expanded On-Call service in the city at an event held Monday, Mar. 7, at the Glenn Heights Park & Ride. 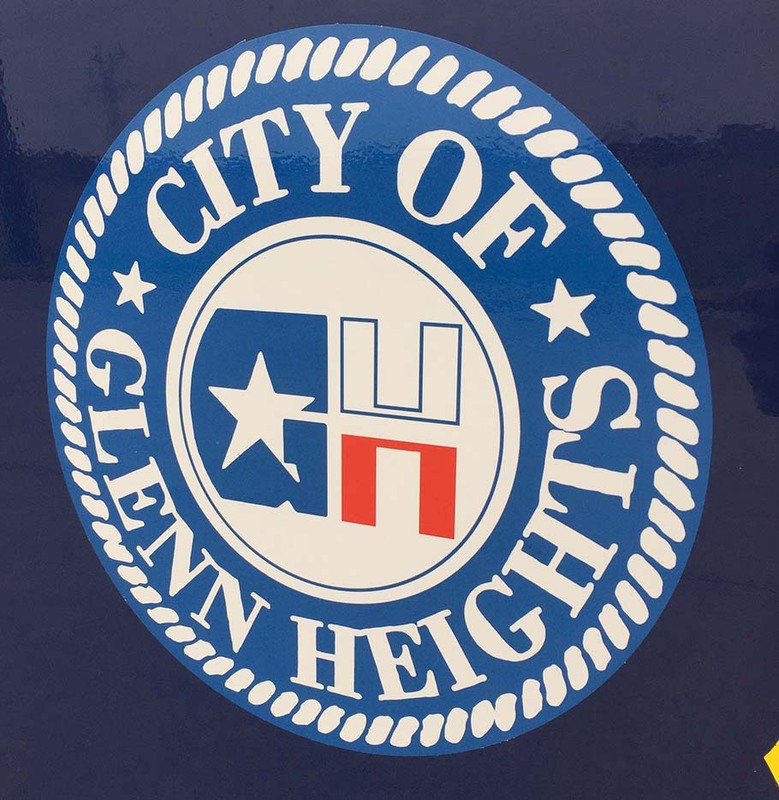 The bus is part of the added On Call midday service planned from 9 a.m. to 3 p.m. that allows trips anywhere in Glenn Heights with connections to DART routes in the Wheatland area of Dallas. 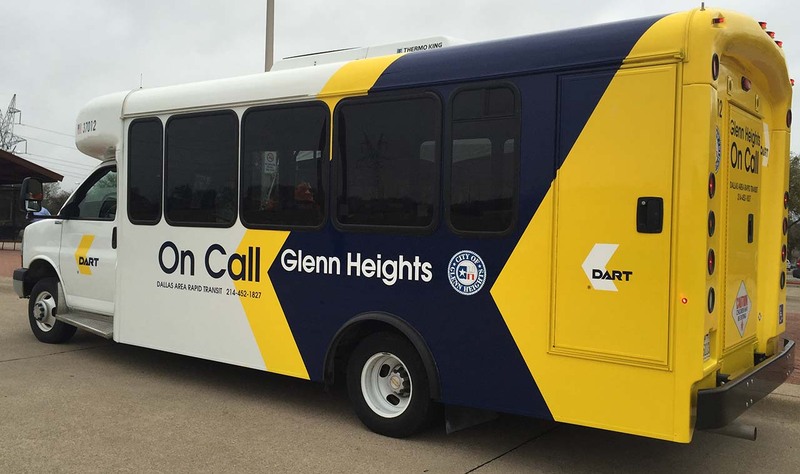 “The opportunities are unlimited in Glenn Heights and we’re looking forward to this service and continued service,” said DART President/Executive Director Gary Thomas. It goes into service Monday, Mar. 14, when DART customers throughout the system see new timetables and schedules due to changes designed to improve ridership and on-time performance. Route details are available by calling DART Customer Service at 214.979.1111 or by going online to DART.org for schedule adjustments.